Any urbanite knows that the countryside can be a strange and sometimes disconcerting place, where choices are limited and people live by their own rules. 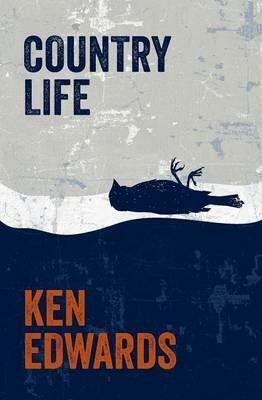 Author Ken Edwards takes these impressions and pushes them to the edge (literally if you consider the coastal environment the majority of his characters live in), drawing us into a world of philosophising young men, creative frustration and angry musicians who’ll bottle you, or worse, given half a chance. Edwards’ Peninsula Region is home to Dennis Chaikowsky, aka DC, house-sitting for his parents, and Alison, aka Wanda, the object of his ever escalating affections. Edwards’ writing, however, makes it anything but. While DC’s neo-Marxist mate Tarquin adds his own political pontificating to the mix and Alison’s husband Severin contributes an uncomfortable a waft of simmering rage, we’re quietly swallowed up by the landscape.